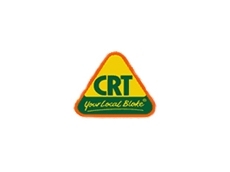 Available from Combined Rural Traders (CRT) retailers, the OSKA Professional range of high quality farm and gardening tools and equipment has been specifically developed in consultation with manufacturers that are renowned for using quality materials and products combined with superior workmanship. The range of OSKA Professional farming and gardening tools incorporates over 100 products ranging from log splitters, crowbars, pruning saws, and nozzle sprayers to rakes, forks, shovels and loppers. For every sale of OSKA farming and gardening tools, a percentage is donated to Aussie Helpers Children’s Fund, providing support and resources for education, sport and music for disadvantaged children in rural Australia. More information on the range of OSKA Professional farm and gardening tools is available from Combined Rural Traders (CRT).